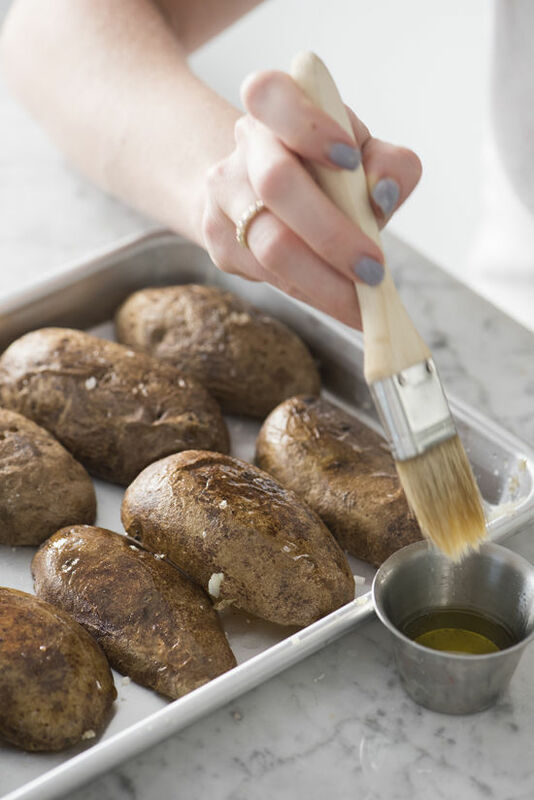 • preheat your oven to 425, wash the potatoes, pat dry, poke with a fork a few times and brush with olive oil and a sprinkle of salt. 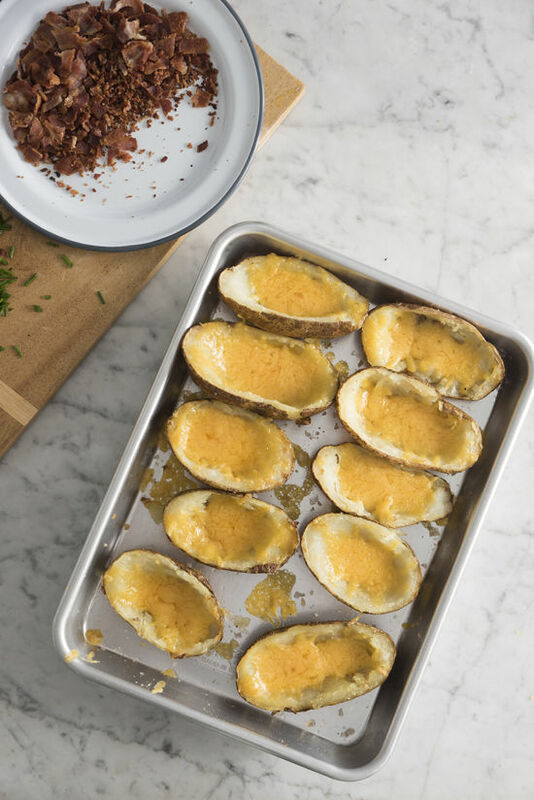 place them in the oven to cook for 60-75 minutes until very tender when poked with a fork. 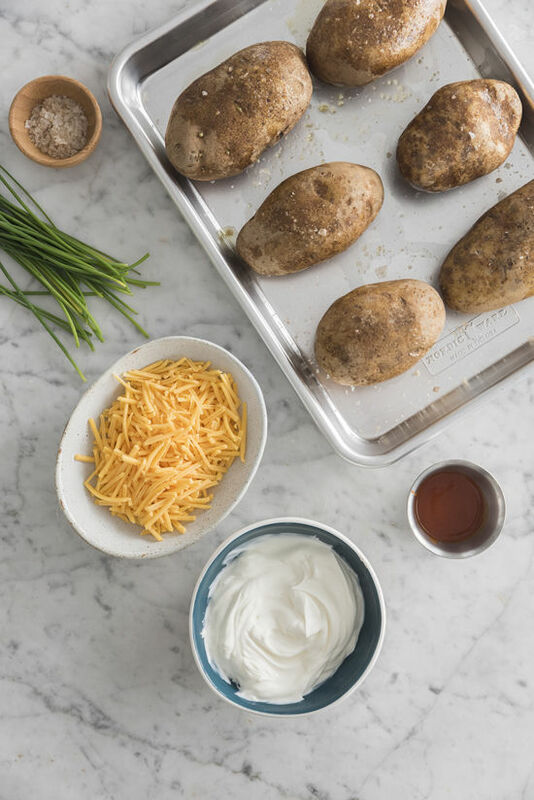 • once the potatoes are done, let them cool slightly and then cut them in half lengthwise and scoop out the center. 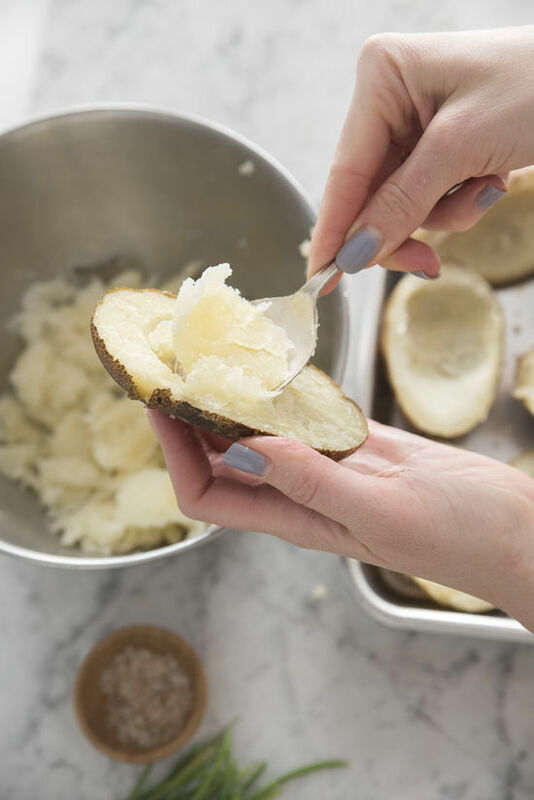 you don’t want to scoop out all the potato as it will make it too flimsy to fill and you also want a nice layer of potato for serving. 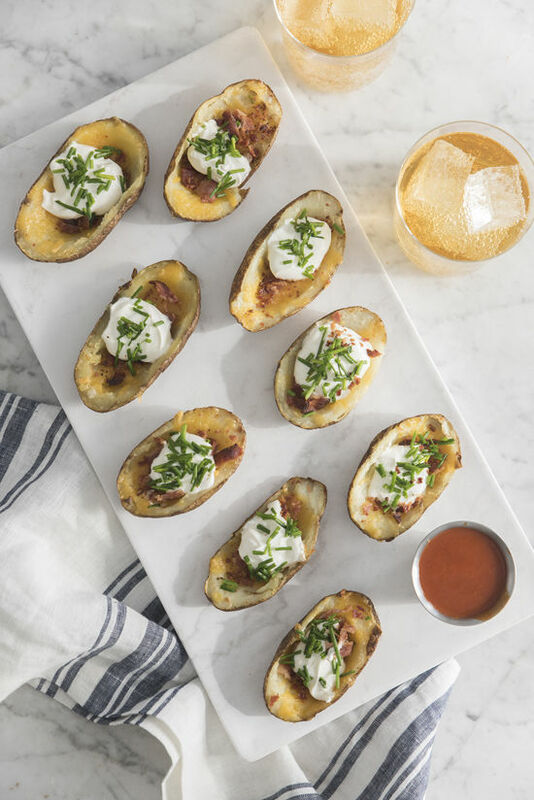 • turn the broiler on, and flip the potato skins face down on a cooking sheet, brush with olive oil and sprinkle with salt, place in broiler for 3-4 minutes until slightly toasted. 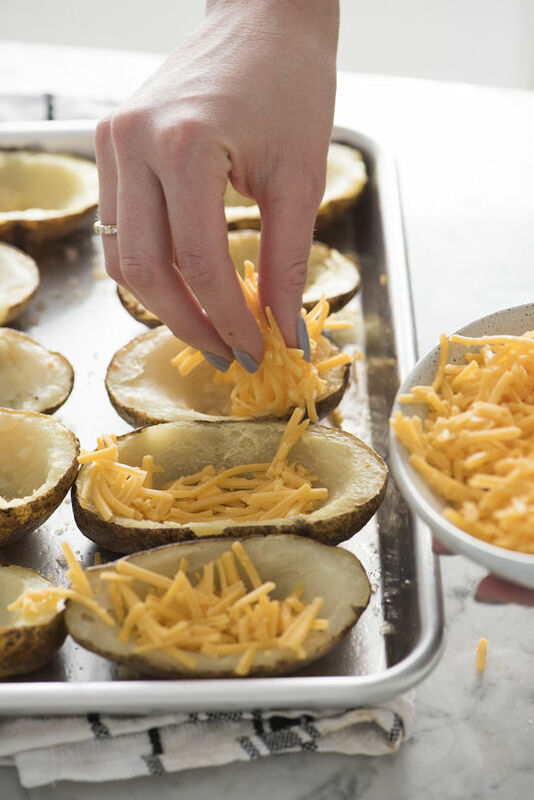 flip over, sprinkle generously with grated cheese and put them back in until cheese is hot and bubbling. remove from oven. 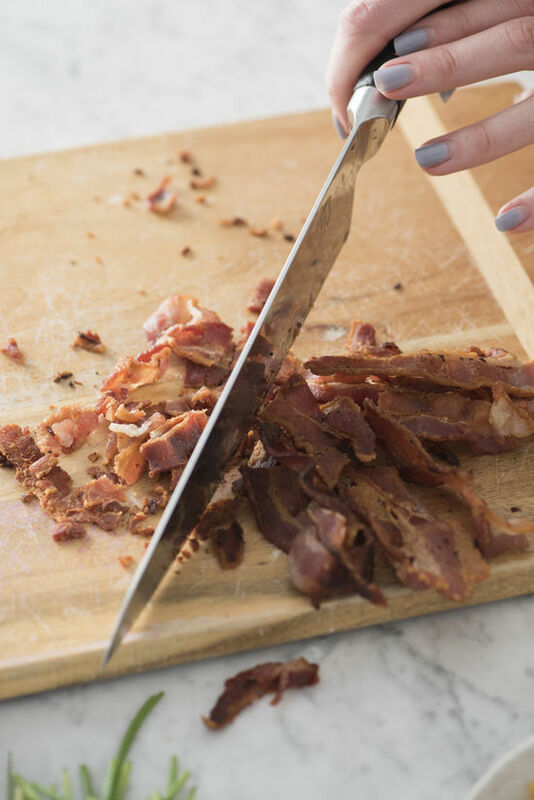 • fill them with bacon bits, sour cream and top with chives. 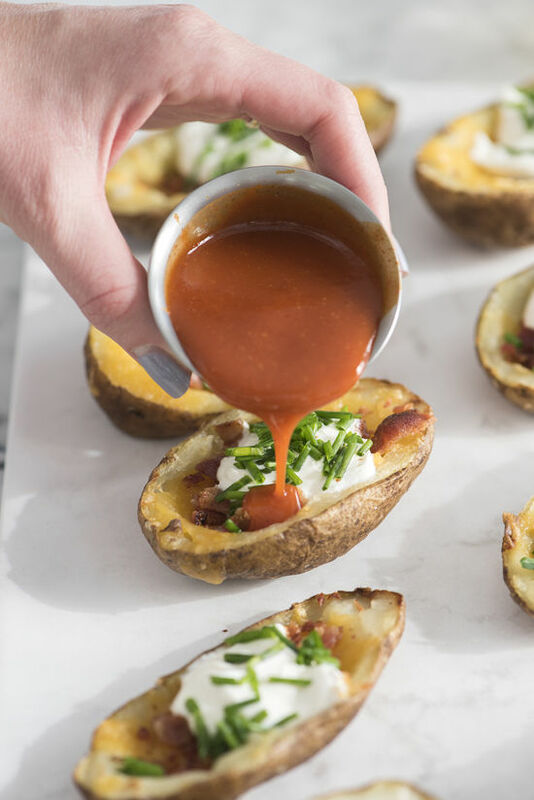 serve ’em hot and with a side of frank’s hot sauce! This looks so deadly! 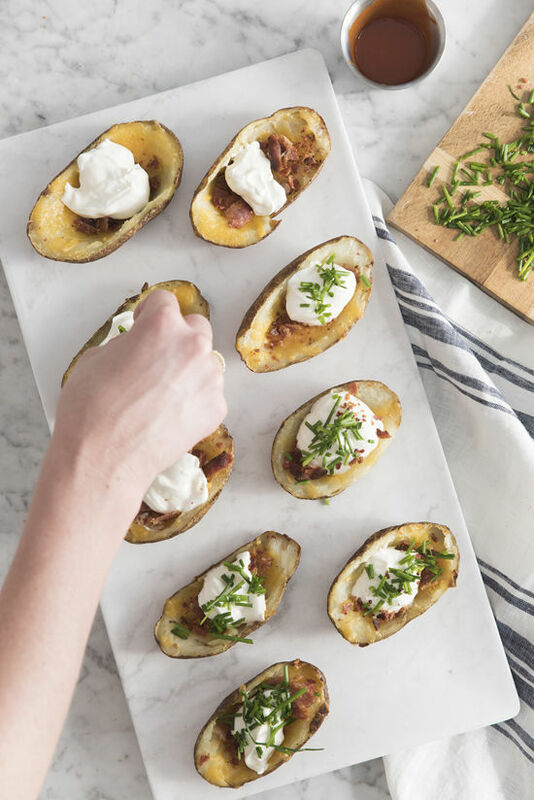 I love making baked potatoes, but this is a good way to switch it up for game day. 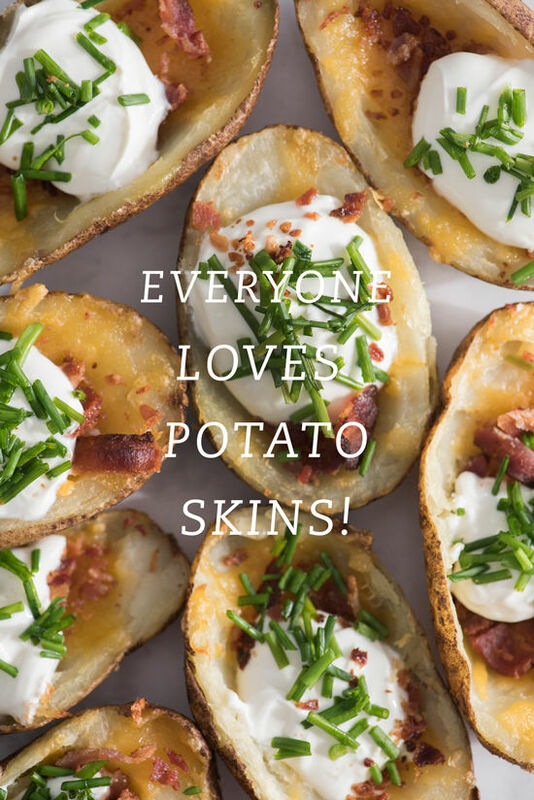 Thanks for sharing, I need to go back a potato now! These look so good! 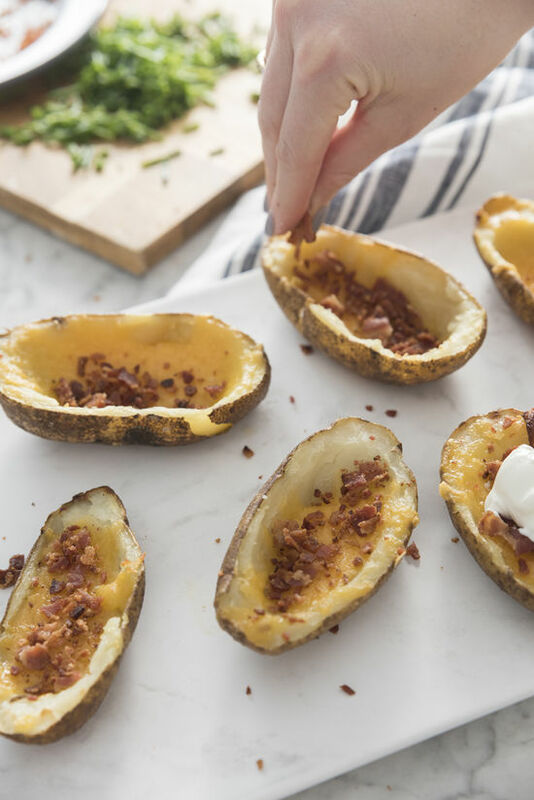 Now I’m craving potato skins!